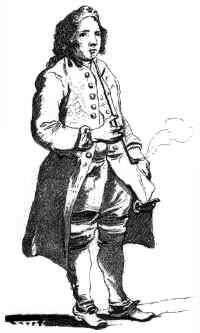 Linnaeus smoked a pipe to alleviate his chronic toothache. Drawing by Jean-Eric Rehn, 1747 or 1750. Linnaeus’ Hammarby. Linnaeus chose to take his doctor's degree at the small university of Harderwijk in Holland. A sound choice: a week after his arrival there he was a Doctor of Medicine! Penniless students in particular chose to prepare themselves in Sweden to take their degree in Holland. In Holland Linnaeus was also the first who succeeded in growing bananas in Europe: he considered this to be the fruit that Eve offered to Adam in Paradise and so he called it Musa paradisiaca! In 1738, back in Sweden, Linnaeus opened a doctor’s practice in Stockholm. In 1739 he was one of the founders of the Royal Academy of Sciences and became its first president. This year he married Sara Lisa at her family home Sveden, outside Falun.